MainAll NewsJewish WorldYeshiva U search for new president: Ted Cruz aide? Yeshiva U search for new president: Ted Cruz aide? Deputy chief of staff for Ted Cruz's presidential campaign reportedly a candidate for Yeshiva University's new president. 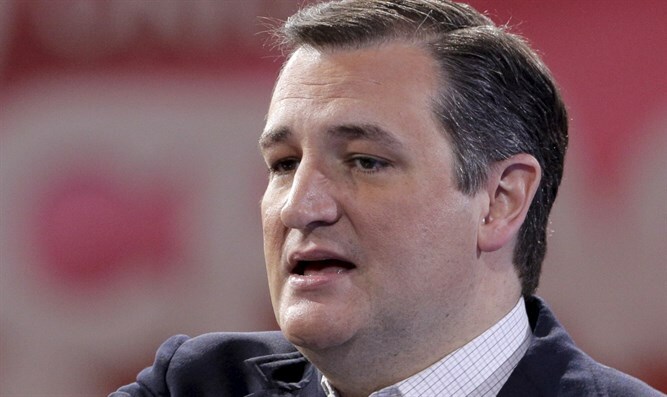 NEW YORK (JTA) -- As Yeshiva University continues its search for a new president with an emphasis on financial sustainability, JTA has learned the name of at least one candidate: the deputy chief of staff for Sen. Ted Cruz's presidential campaign this year. Nick Muzin, who earned a medical degree at Yeshiva's Albert Einstein College of Medicine, has met the head of the search committee multiple times in the effort to find a successor to Richard Joel, who said he is stepping down after his term expires in 2018. Muzin helped raise more than $100 million for the Texas Republican's campaign. "We have a very long list of candidates," Trachtenberg said. "There are discussions with numerous candidates. There are different levels of discussion. Until we're convinced we've got a winner and have made an offer, we're happy to hear from new people." Trachtenberg didn't share any names of those under consideration and would not confirm whether Muzin or any other person was among them. But Trachtenberg praised Muzin, who also graduated from the Yale Law School, as "attractive." "This is a guy who went to Yeshiva University but got a medical degree, and went on to get a law degree from Yale," Trachtenberg told JTA. "He is an example of a very successful Yeshiva University graduate." Trachtenberg told JTA that ensuring the institution's continued financial well being is his top priority. Y.U. 's officials believe that separating from Albert Einstein, a perennial drain on the budget, will fix its financial woes. But Y.U. 's losses have led Moody's, the credit rating agency, to downgrade its bond rating. Y.U. has also been rocked in recent years by a series of accusations of physical and sexual abuse that took place at its affiliated boys' high school in the 1970s and 1980s. The cases could not be prosecuted because they exceed the statute of limitations, and Trachtenberg said the scandal hasn't been discussed by the search committee. Trachtenberg said that Y.U.s financial health is "sufficient," but that its future stability demands "a creative person who know what they're doing." "The financial side is a very big challenge," Trachtenberg said. "The challenges are those of money. Running a university is a labor-intensive enterprise. Jewish philanthropy is being drawn in all directions." Before joining the Cruz team in 2014, Muzin served as director of coalitions for the House Republican Conference. He has also served as an aide to Rep. Tim Scott, R-Texas, later directing Scott's PAC,Tomorrow is Meaningful. He lives in Silver Spring, Maryland, and works as a lawyer in private practice. He would also come after working on a political campaign. As Y.U. is a nonpartisan institution, Muzin's strong identification with not only a political party but a specific candidate may make trustees hesitant to select him. Trachtenberg suggested that it's time to reevaluate what's most important in a Y.U. president, prioritizing a nuts-and-bolts candidate over an innovative modern Orthodox philosopher. While he said being modern Orthodox is a must for any Y.U. president, he isn't sure that if Lamm applied under today's circumstances he would hire him. "I said to the committee, to the faculty, to the rabbis and the board of trustees that they needed to learn from past experiences and be more flexible," Trachtenberg said. "What you want to do is open yourself up to a greater definition of what it means to be a scholarly person."